When you come back to the office after Thanksgiving, why does it feel like your technology is extra sluggish and slow? Maybe it’s just the extra piece of pie you had over the holiday. Or, hopefully, it’s because you got to spend some quality time away from that office workstation you’re always tethered to. While you were tirelessly working away hour after hour, you probably didn’t notice how bogged down your technology got this year. Don’t fret—with the Section 179 tax credit deadline coming up, now’s the perfect time evaluate your tech needs, and figure out what you can do to speed up your tech once again. To help you slim down and speed up your technology through the end of the year, we’ve come up with a few questions you can ask yourself. How Old Is My Hardware? We get it. Good tech isn’t cheap. You know what else isn’t cheap? Your time. Think about it. How much time do you spend waiting for your computer to load? Has your phone system been dropping calls? Does your software work the way you want it to? Or, are you wasting time with costly bolt-on integrations, because your system no longer meets the minimum update requirements? Your hardware is supposed to help optimize your workflows, not make things more difficult. When you upgrade or replace your hardware, your business gets improved security, enhanced data integrity, greater compatibility, and reduced noise. With the end of the year in sight, you’ll be able to deduct the full purchase price of most purchased, financed, or leased hardware. Section 179 allows business to write off equipment and off-the-shelf software purchases from the year. In fact, it’s one of the few remaining government incentives left for small and medium-sized businesses. If the new hardware you need seems too expensive, you can choose to finance or lease instead—you can still deduct the full purchase price, while improving cash flow and profits. That’s where we come in. With our Virtual CIO and IT Consulting services, High Touch can take the hard out of hardware. We’ll help you discover cost-efficient solutions and engineer a plan for future hardware improvements. That way, your hardware remains current, and your business won’t be caught off guard by a hardware failure. With a wide range of technology expertise, we can make sure your new hardware works with all of your existing infrastructure. The Section 179 tax deduction for purchased, financed, or leased equipment expires 12/31/2018. This blog does not serve as professional tax advice. Please consult your trained tax professional before making a purchase. Is My Company Website Slowing Me Down? A juicy, slow cooked turkey at Thanksgiving is delicious. A dry one? Not so much. There’s no amount of gravy you can pour onto a slow website to make it palatable. Did you know that if your website is too slow, Google won’t rank it well? If customers can’t easily find your business online, they’re going to choose one of your competitors. Moz, the company known for its search engine optimization (SEO) tools and capabilities, has all the details on how speed affects your rank on Google. When’s the last time you measured your website’s performance? We can help you understand how your business stacks up against the competition with a free web assessment. When’s the Last Time I Cleaned My Computer? Does your tech feel bogged down even though your hardware should be able to handle the job? The old files cluttering your recycle bin, desktop, system storage definitely don’t help. You know what’s worse? Not keeping up with software and system updates slows down your system and leaves your business vulnerable to cyberattacks. Don’t put off cleaning up your workstation for a slow day. Those are probably few and far between. We recently discussed how important it is to back up your data. 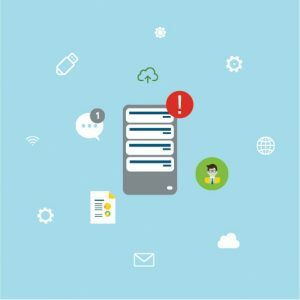 If you didn’t take the opportunity to back up your data for safety, you should definitely consider backing it up for efficiency. Your workstation is likely stuffed with thousands of old files that’ll never see the light of day again, but you’re saving them just in case. There are many options when it comes to data backup. The right solution depends on your business and your budget. We can help you make the right choice for your business. Even more important, have you been keeping up with your software and system updates? New threats pop every minute. You don’t want your business to be the next headliner that lost valuable customer information. Keeping up with your updates can help you stay protected. Is My Software Actually Working for Me? Instant mashed potatoes are a quick, easy, off-the-shelf solution. However, you know they don’t quite stack up to the recipe your grandmother has been perfecting for over 30 years. Quality, custom software can give your business the energy boost it’s been missing. Off-the-shelf software may seem like an easy, plug-and-play solution for your business. Too often, that software falls short of what it’s supposed to do. If your software is holding you back, you’re going to feel sluggish. Did you know we got our start by engineering custom software over 30 years ago? Whether it’s a simple line of integration code, or if it’s engineering a new system from the ground up, we can help you make the best software decision for your business. Learn more about Custom Software Development. At High Touch Technologies, we bring the human touch to technology. Whether you need new or upgraded hardware, a new website, help cleaning up your network or workstations, or custom software, we can make things easier. If your business is feeling overstuffed, contact us.